German architect; born March 14, 1852, at Landau. After his return from Italy, where he completed his studies, he was entrusted with the building of the new synagogue in Kaiserslautern. He was the architect also of the church at Olsbrücke near Kaiserslautern, of the synagogues in St. Johann, Strasburg (Alsace), and Kleinwälde near Kaiserslautern. 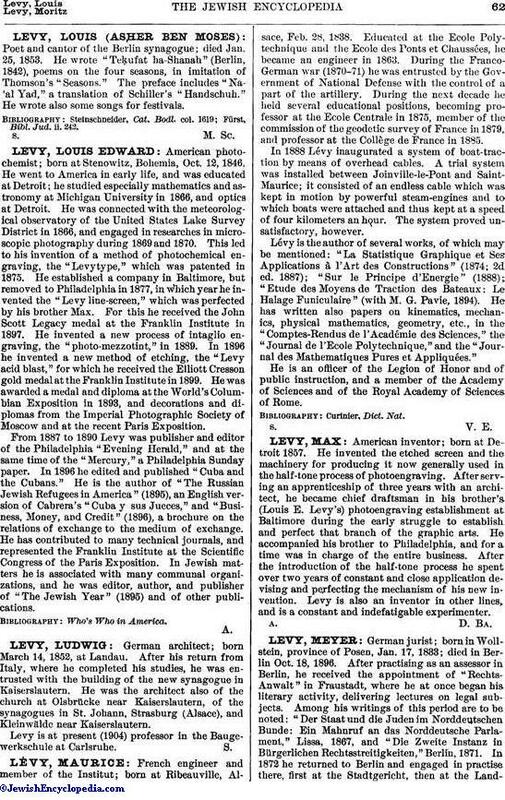 Levy is at present (1904) professor in the Baugewerkschule at Carlsruhe.